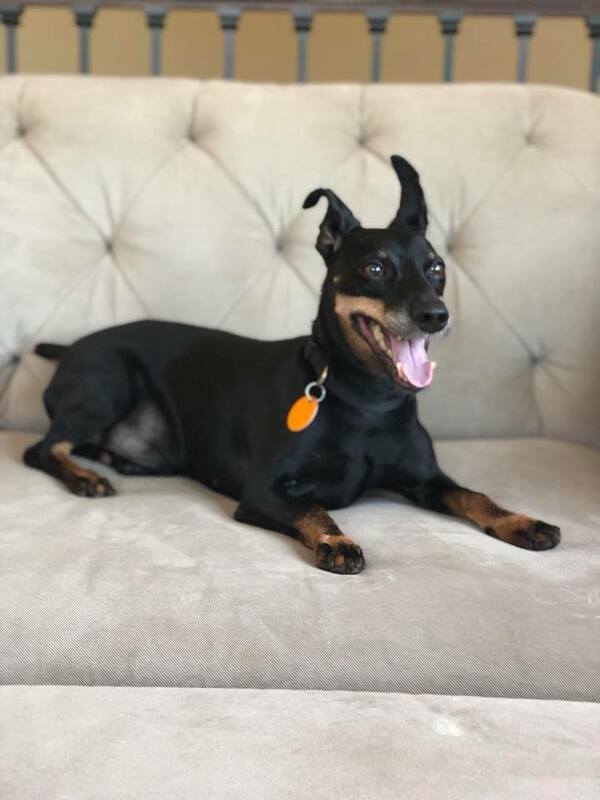 Kush is a 7-year-old, male Manchester Terrier who recently came to PPAR after being surrendered by his owner who could no longer care for him due to personal medical issues. He is now looking for a loving forever home who will help him transition through this anxious time. He is good being with other dogs and would be okay being an only dog or having dog siblings. He has not been tested with cats. 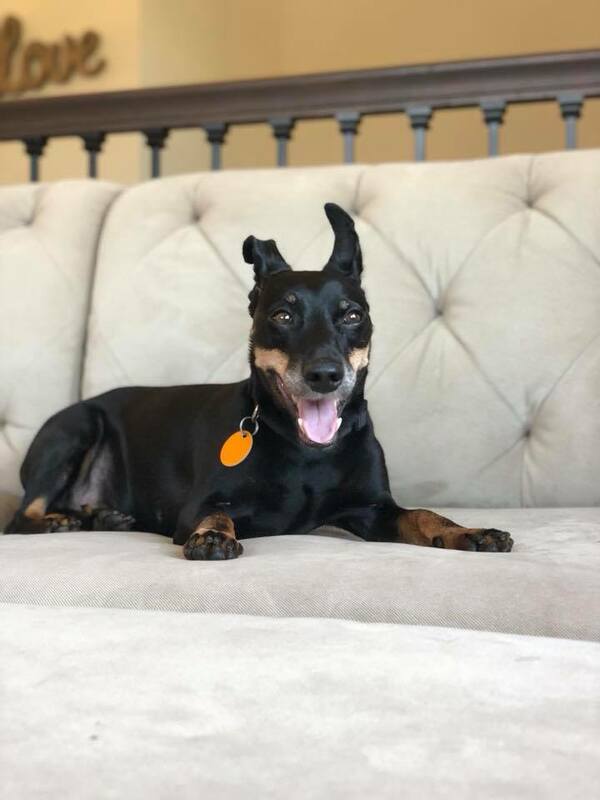 He would do best in a home with older kids but is tolerant of younger children and will just walk away if he becomes overwhelmed by the attention. Playing fetch and tug-o-war are two of his favorite things to do! He gets very into it and will excitedly “talk” to you while playing. He also loves napping, walking, and getting scratched behind the ears. Kush knows simple commands like “sit” and “down.” He is also housetrained, microchipped, and up-to-date on all vaccinations! Kush does have some separation anxiety at the moment due to the circumstances, but with a patient, reliable, loving family he will learn to feel comfortable and safe again. He would love to find a forever family who will play with him, snuggle him, and love him.